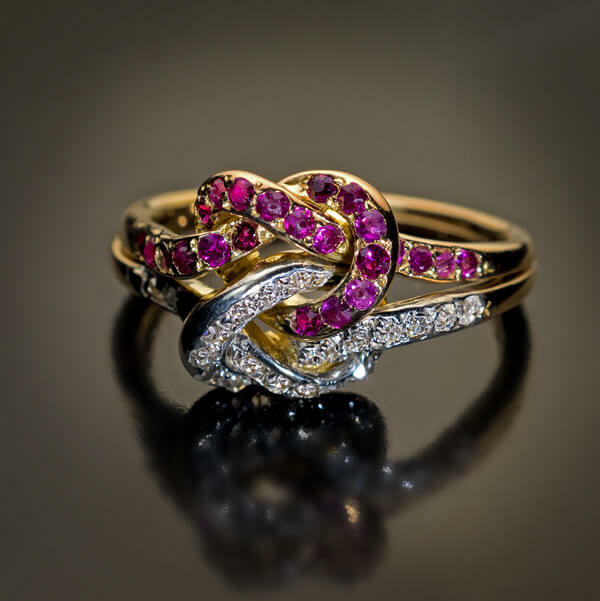 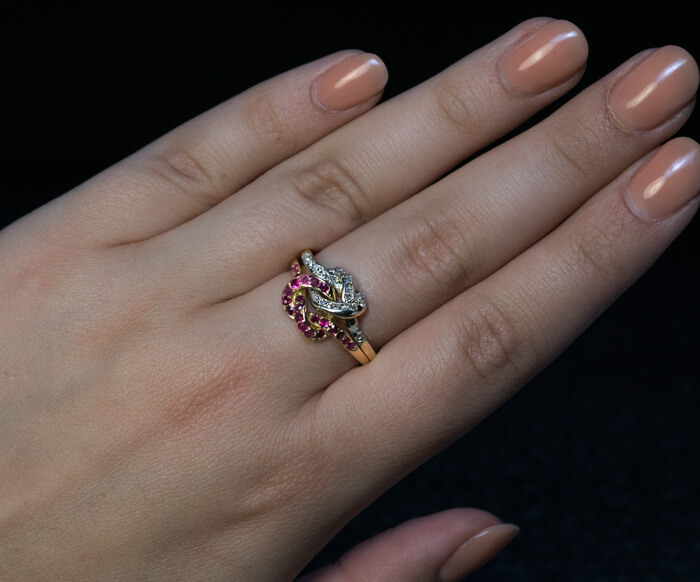 A Victorian era antique 18K gold love knot ring is set with rubies and old mine cut diamonds. 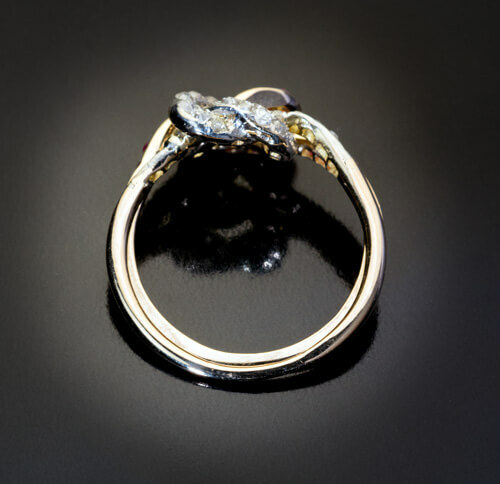 The diamonds are set in silver over gold. 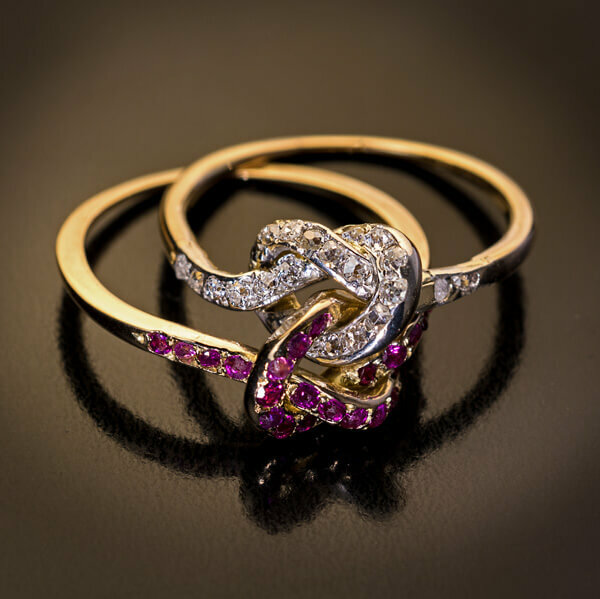 Approximate total ruby weight is 0.30 ct.